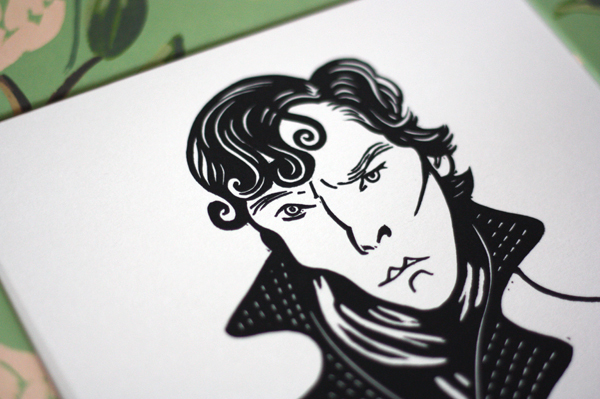 I'm getting a huge kick out of this funny linocut of Benedict Cumberbatch as Sherlock Holmes. 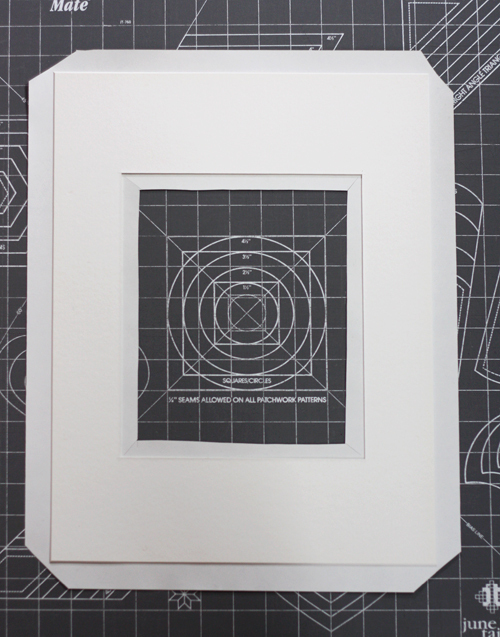 The portrait is an original print by Nick Morley; read more about Nick's work here. 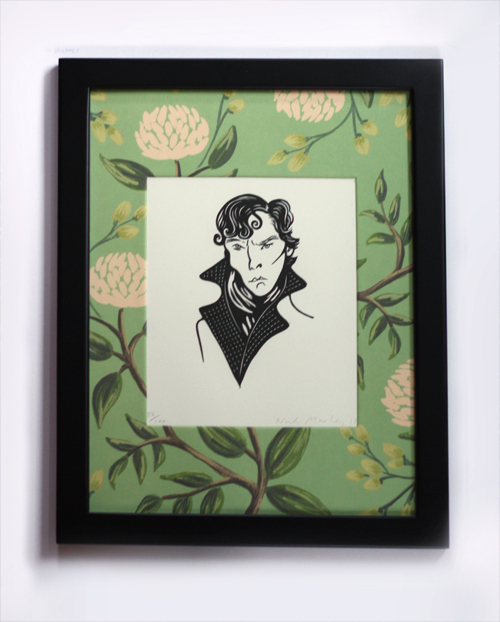 If you've seen the TV show, you know Sherlock is right at home amongst wallpaper, so I decided his picture mat ought to be patterned. 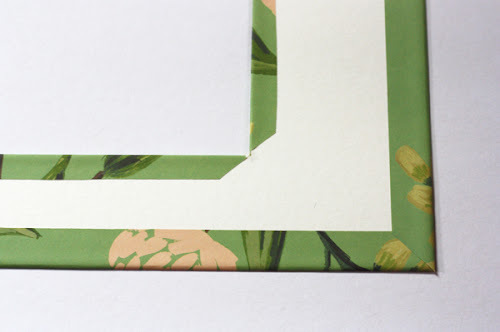 I used a sheet of Rifle Paper gift wrap I got at Poeme, a charming little stationery shop in Cincinnati. Covering a mat with paper is simple. 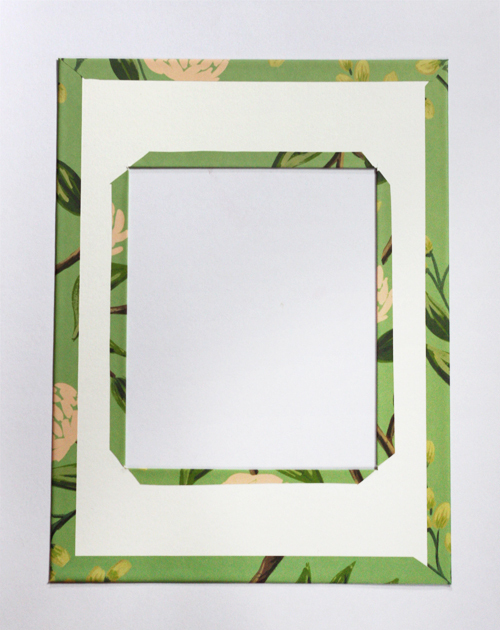 You can cut a piece of chipboard to size and cover it, or cover an existing mat— one that came with your picture frame or a plain one purchased separately. 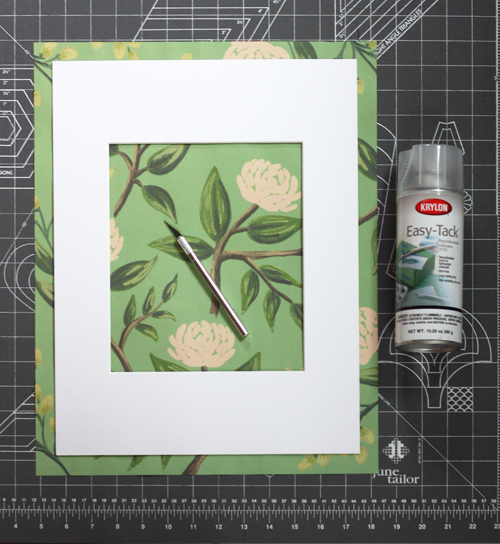 You'll need fancy paper cut roughly 1/2" larger than the mat, spray adhesive, and a scissors or craft knife. Spray the back of the paper with adhesive and center the mat on it. 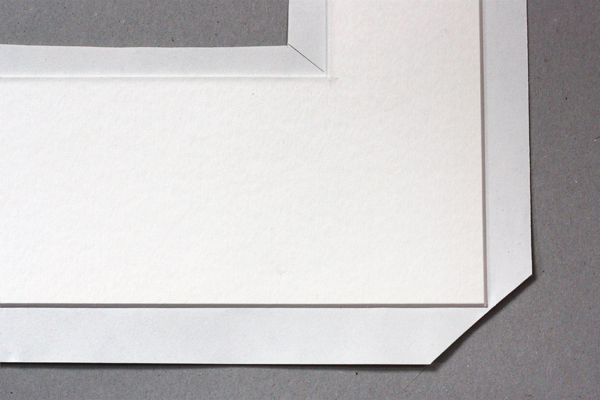 Cut out the excess paper in the center of the mat, leaving around 1/2" to wrap around the edges. Make diagonal slits to the inside corners and trim the outer corners at a 45 degree angle. Don't trim right up to the edge of the mat; leave enough extra paper to equal the thickness of the mat board so no board is exposed when you wrap the corners. Bend the tabs around the board, sticking them down. 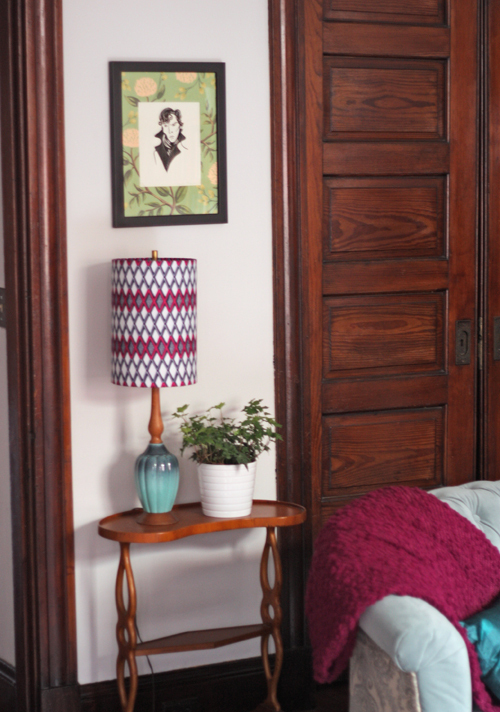 Put the print, mat, and frame back together and hang. Sherlock must reside in the parlor, of course, where he'll scowl at me every day and make me happy. Sara, haven't seen that one. I wonder how many other Benedicts-as-Sherlock are out there! Benedict Sherlock.... We are love him! In 71 years I've seen so many variations of Sherlock it's almost unbelieveable!! Benedict is the PERFECT Sherlock and I think Sir Arthur would agree. Now, I'm off tomorrow to hunt up some Victorian wall paper. Sherlock will live on through the ages in hundreds of incarnations. Have fun! I almost didn't recognize him on AUGUST, OSAGE COUNTY. His southern accent blew my mind! Anyone else see that? Oh, and by the way, I love this project and will definitely do it! I didn't see it, but heard he was in it!